Barenco has designed, manufactured and supplied corrections security hardware since 1985. Products supplied by Barenco include the Smart Door quick-release security door and the Vandal-Proof Sprinkler head & system. In addition to the products described here, Barenco manufactures and supplies customized security hardware, machined components and specialist fabrications and systems. 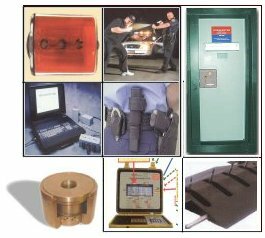 Barenco manufacture and supply products specifically designed for prisons and other correctional institutions, law enforcement agencies and High profile public buildings such as Embassies etc.